Particularly suitable for reading over long periods of time and for users who cannot hold magnifiers freely (e.g. age-related shaking or Parkinson‘s disease). Magnifier heads with a diameter greater than 58 mm are fitted with a retractable red reading line for easier line orientation and increased reading speed. 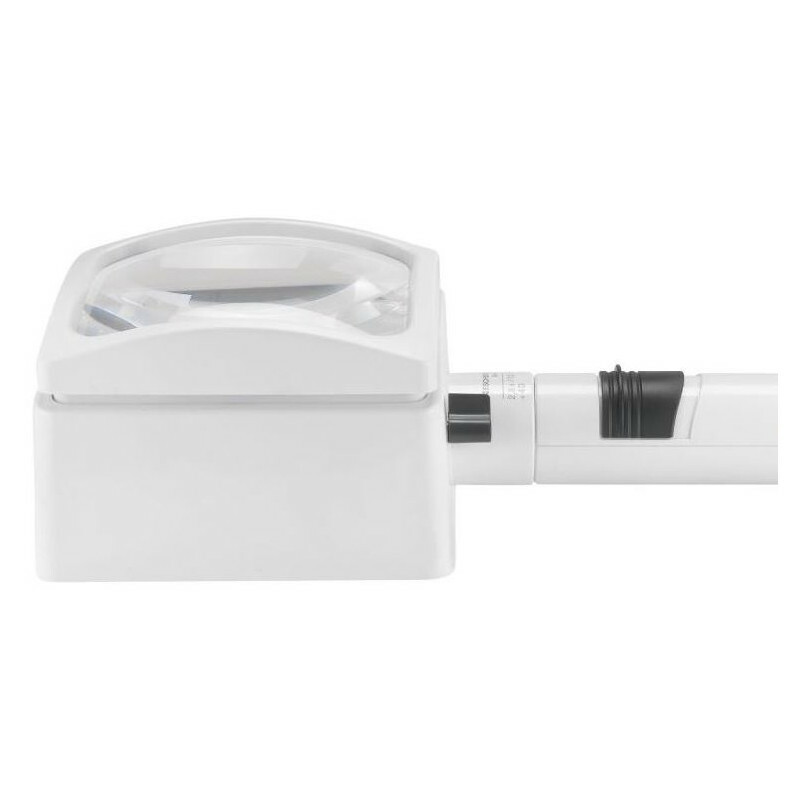 The rectangular magnifier heads are equipped with a supplementary swivel lens for additional magnification. Particularly scratch-proof lens with high visual comfort. Choice of 3 different colour temperatures via filters. distortion-free image with edge-to-edge sharpness. Details relating to magnification/ dioptre value/ recommended eye-lens distance are stated on all magnifier heads. Bright, even illumination of the reading text provided by enclosed magnifier heads made from a light material. To achieve a uniform reading distance, Eschenbach Optik recommends using the system varioPLUS in combination with a reading stand (Item No. 1605).